The Practice Complaints Manager is Debra Barnes(Practice Manager). If you have a complaint or concern about the service you have received from anyone working in this practice we would like you to let us know so that we can put things right and improve the service we provide. We operate a practice complaints procedure as part of a NHS system for dealing with complaints. Complaints may be made verbally to any member of the practice team although it is always best to submit a complaint in writing or by email (debraj.barnes@nhs.net) to the Practice Manager, Debra Barnes with details of your complaint. You can make your complaint directly to the OCCG, (contact details at the end of this) although they would prefer that you contact us first. It is helpful if you can give as much detail when making your complaint and to consider what you would like us to do to put things right for you. Your complaint will be acknowledged within one working week either by telephone or in writing. It is helpful if you can be contacted by telephone to discuss your complaint in more detail and to agree an appropriate timescale for responding. Your complaint will be thoroughly investigated and will be treated confidentially. During our investigation we will aim to find out what happened and what went wrong. When the investigation is complete we will contact you to discuss the outcome and this will then be confirmed in a letter. We will aim to respond to your complaint within 10 working days, or within the timescale which we agreed with you when you made the complaint. If you are complaining on behalf of someone else, we will need to know that you have their permission to do so. This is because of the rules of medical confidentiality. A note signed by the person concerned will be required, unless they are incapable of providing this, because of physical or mental illness. By using our practice complaints procedure if you have a problem, we feel that this will give us the best opportunity to resolve the problem and to improve our practice. However, if you are dissatisfied with the outcome of the Local Resolution process you are entitled to refer your complaint to the Parliamentary Ombudsman on 0345 015 4033. Independent Advocacy provided by SEAP. We take errors or complaints very seriously. We are very sorry if you have had cause to complain. 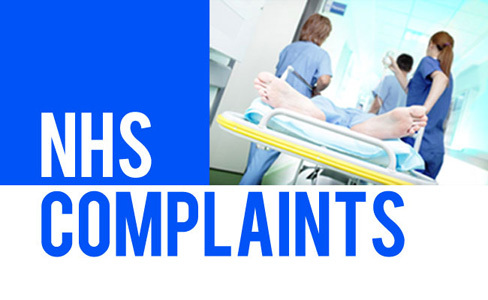 Here you will find information on the NHS complaints procedure and other options open to you.